← 92. Are You a Generous Blamer? Water is the healthiest drink that exists. There is now a lot known about this. It refreshes your body. It helps to dispose of waste products. It hydrates your organs and keeps them resilient. It makes for glowing skin. In other words, it’s a divine drink! Still, there are many millions of people who never drink water. Maybe they take a sip after brushing their teeth or when taking medication, but not because they want to. Is this unwillingness or ignorance? How bad is it when you never drink water? Why don’t people drink water? People who don’t drink water, don’t do this out of unwillingness or ignorance. Most people know that water is healthy for them but still don’t drink it. Why not? Because they just can’t get it inside of them! Weird? Or, is this actually logical? When you look at why people can’t drink water, it turns out that there are various reasons for it, all of which are stored in their subconscious. What is your problem with water? People who can’t drink water, have a water-drinking problem. They had some experience through which they came to view water as a “danger”. Their throats close up the moment they want to drink water and they can’t get it inside of themselves. The result is a shortage of water in the body as a result of this water-drinking problem. In the long run, this becomes a very serious problem because the body survives on water! You can expect to develop symptoms of disease! What causes a water-drinking problem? In my clinic and through people’s testimonials I’ve collected the following causes for water-drinking problems. Maybe you recognize yourself in one of them? While you were in your mother’s womb, your mother had some kind of intense experience such as an accident, for example. You were “swimming” in the amniotic fluid. You then, as a fetus, associated the amniotic fluid with shock, danger or insecurity. While bathing as a baby, you slipped under water. You almost choked and were in shock! Water suddenly became a dangerous adversary in your subconscious. You had some kind of experience that made you terribly sad and you had to cry. The people around you wanted to comfort you quickly and calm you down. They offered you a glass of water. “Here, drink this, it’ll be all right. Be quiet now, hush.” You subconsciously associated water with “not being allowed to cry”, with not showing your emotions. In your subconscious, water became the same thing as the “drink that represses your emotions”. The dentist used a water drill. You were afraid and wanted to get out of the chair but had to control yourself and behave. Your subconscious associated the water from the drill with danger and having to go through something bad against your will. Pure torture! You were witness to a classmate almost drowning. You saw how the adults reacted in panic. Your subconscious went on to view water as a murderer, dangerous to life and ruthless. You had swimming lessons. You swallowed huge gulps of water, drifted underneath the surface, sometimes almost suffocated. The swim teacher shouted instructions. They sounded so harsh and mean. Water subconsciously became a substance you could better steer away from. 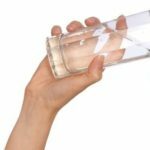 How does the MIR-Method help with a water-drinking problem? Step 1: ‘Optimize acidity’. All the problems you have with water are slowly let go. Your body desperately needs water to optimize acidity, since water has a neutral pH value. By drinking water, your body will become less acidic. Step 3: ‘Detach father. Detach mother’, if you have copied your water-drinking problem from one of your parents. Step 4: ‘Clear meridians’. The meridians can experience all kinds of blockages when old emotions are stored up there. By clearing the meridians, you let go of the old emotions. Step 8: ‘Optimize chakras and aura’. People who have had experiences being silenced or gagged, or, as in the example of comforted too quickly and hearing, “Be quiet, hush”, can develop a blocked throat chakra. By doing the MIR-Method, the throat chakra slowly opens up again and the whole throat area relaxes. This makes drinking water easy again. Note! Even though I only mention a few of the steps, make sure to always do all 9! And how about you? Was drinking water difficult for you? Have you noticed that you drink water more often and more easily through doing the MIR-Method? I’d love to hear about it! Please write about it below. Thank you! My wish for you is that you can really enjoy a glass of water! It is very likely that you DO have a bad memory with water, although you don’t remember. In the Netherlands, dentists use drills accompanied by water, for example. It can be as tiny as this example. Luckily, with the MIR-Method you do not need to find the exact cause. Just keep on doing the MIR-Method and you’ll find that water will start to feel pleasant for you. There’s probably an old issue that’s come up. Take the glass of water and do the 9 steps while holding it. It will heal your realtionship to water. Dear Bruce,Has your wife tried doing the MIR-Method yet? It should deal with the problem. You obiously have a problem with water. Did you recognize any of the causes I write about above? Is the water in your country of good quality? If not, you may need to boil it first, then drink it. 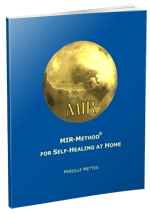 Hope you will start feeling better by doing the MIR-Method! I’ve learned a lot in reading this. Thanks for sharing this very informative post. The knowledge gained here will be very useful.